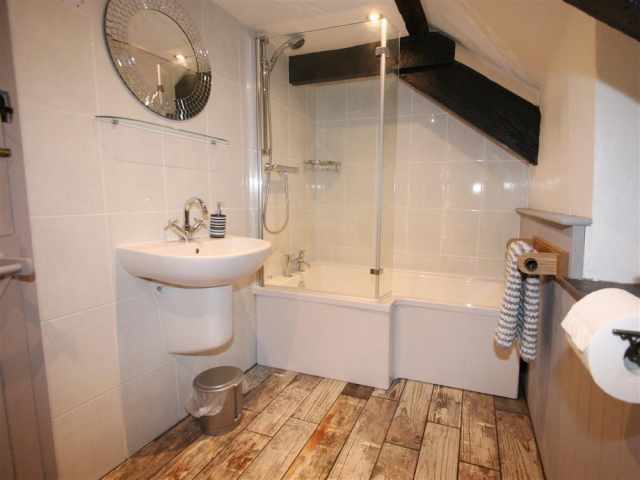 Towels not available. 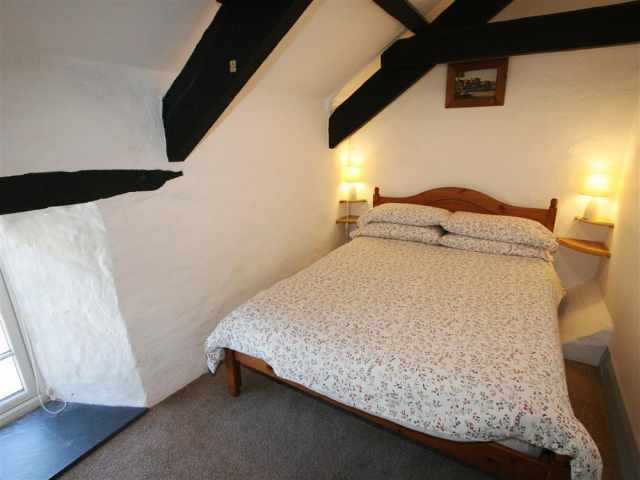 Sorry, this property does not accept pets. 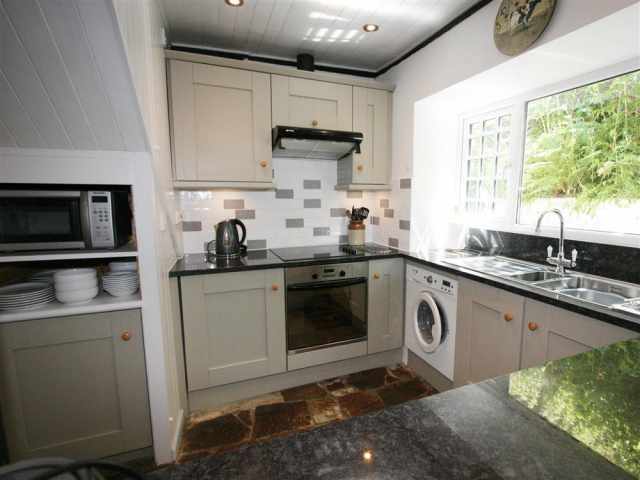 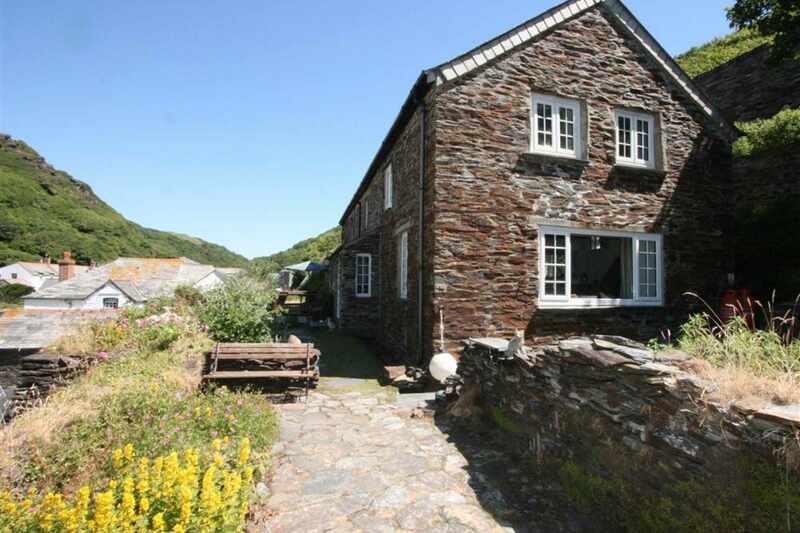 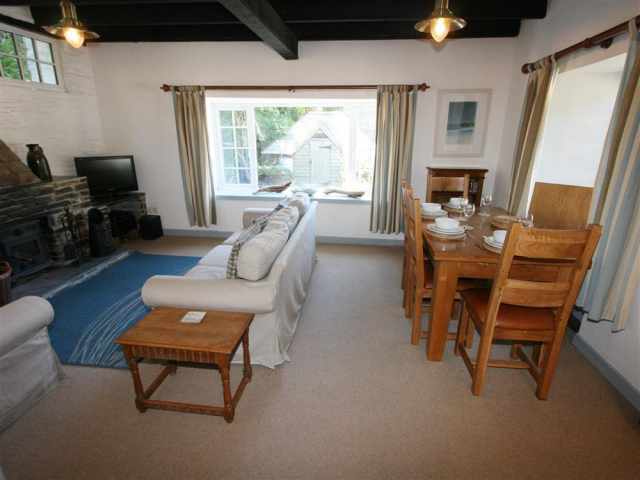 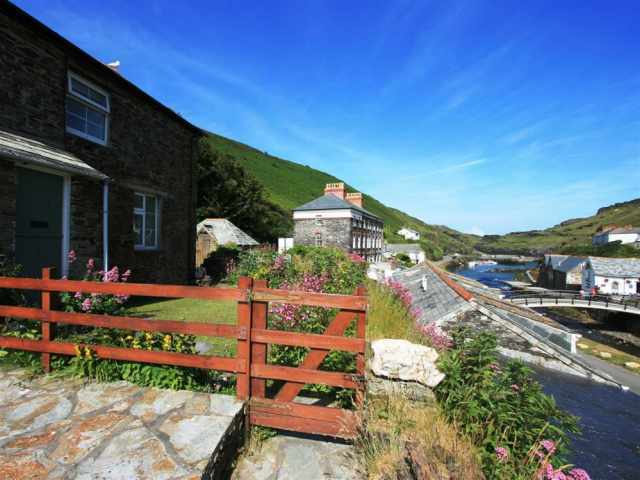 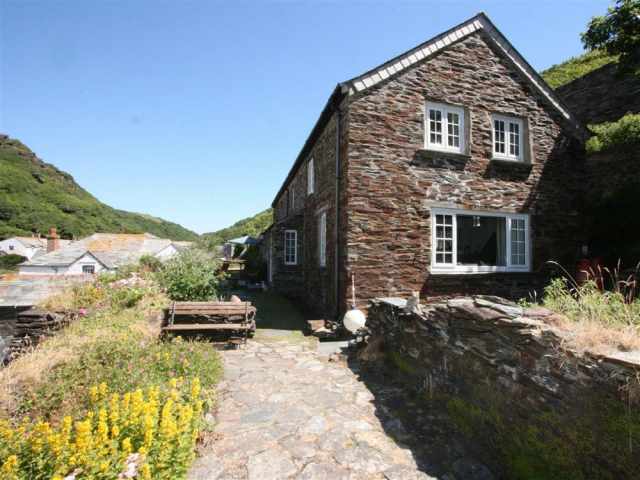 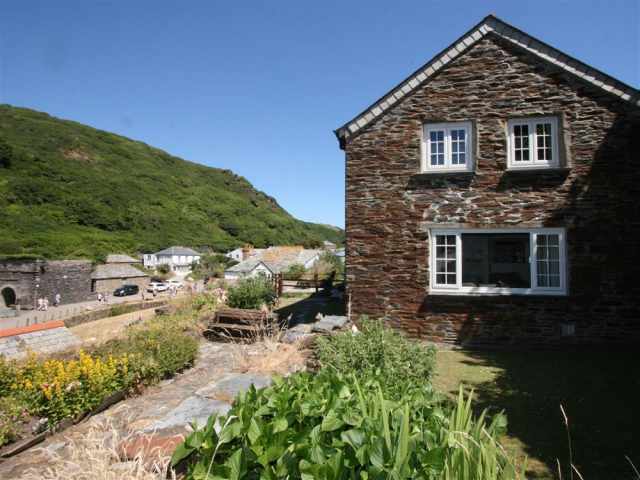 A traditional character cottage with uninterrupted harbour views at the seaward end of an attractive row of three, set on rising ground overlooking the Valency river as it tumbles into the picturesque National Trust harbour about 400 yards away. 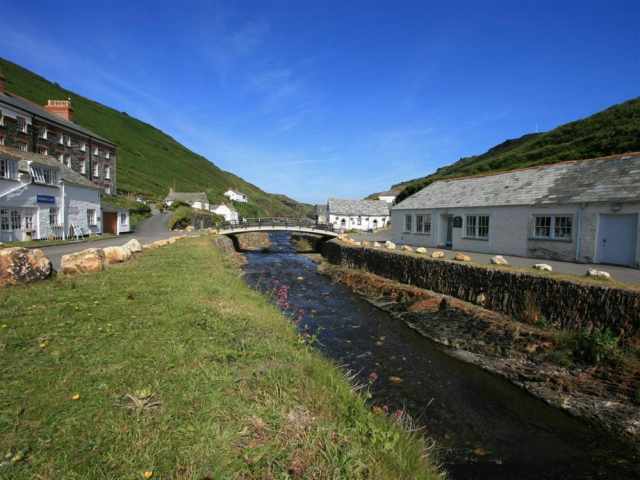 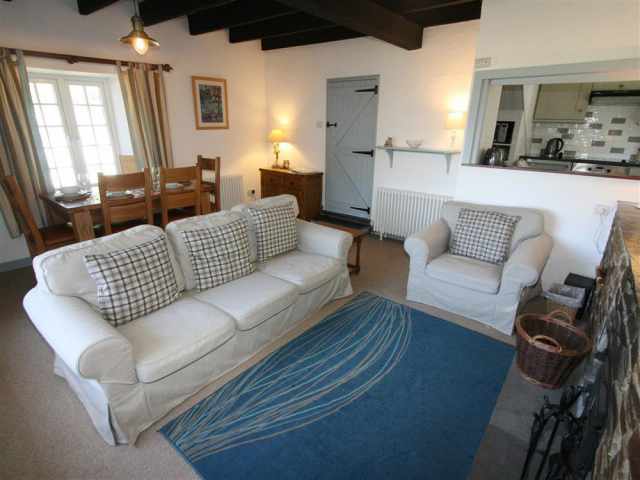 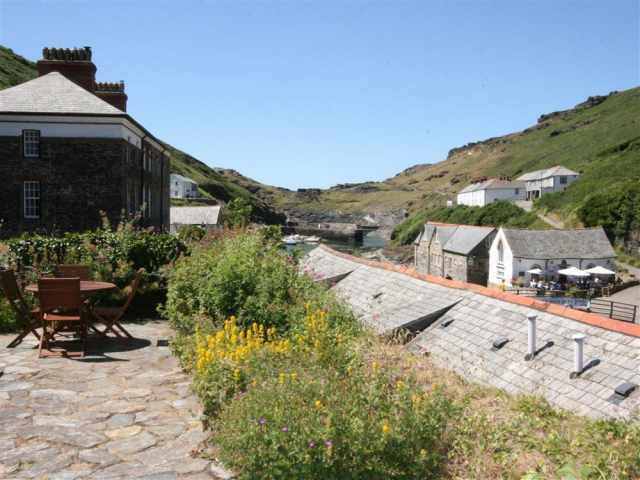 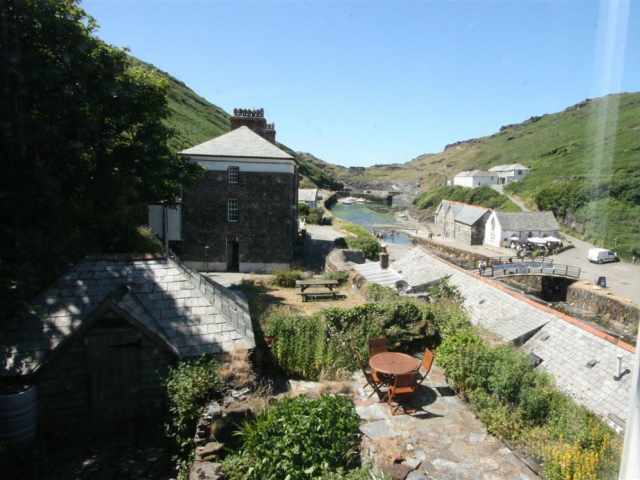 Boscastle harbour is a 2 minute walk as is the main village with its shops and famous 17th century Cobweb Inn. 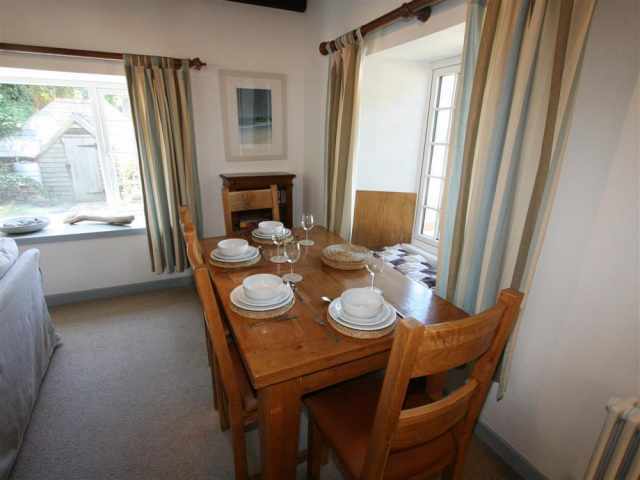 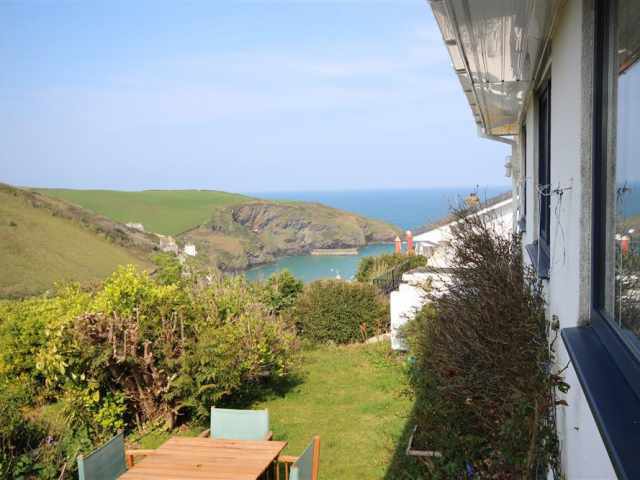 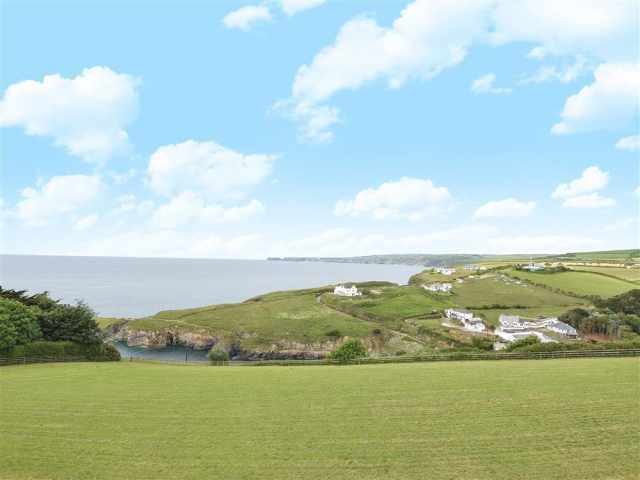 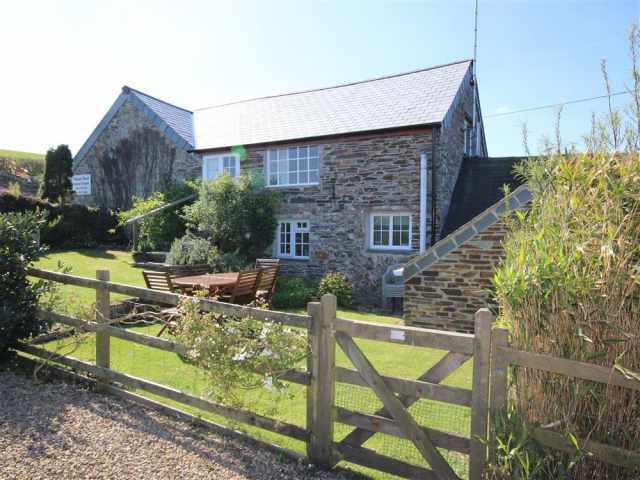 Set in a designated area of outstanding natural beauty with splendid walks through Valency Valley, the coastal footpath is close at hand and the beaches of Trebarwith Strand and Crackington Haven are about 5 miles respectively. 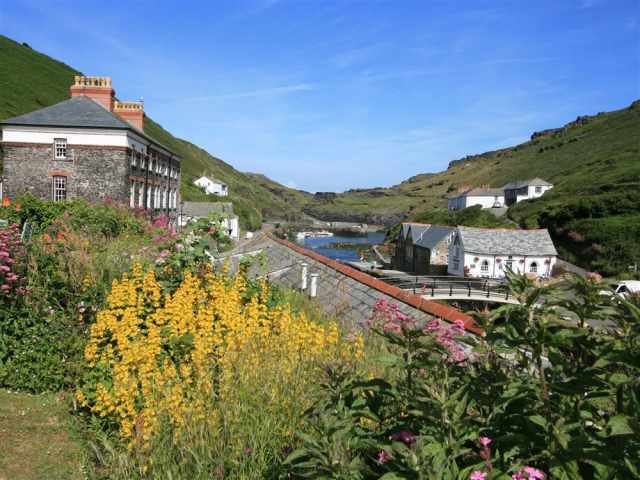 Tintagel with its King Arthur legends is 3 miles and the picturesque fishing village of Port Isaac is a 30 minute drive and home to Doc Martin and the Fisherman's Friends. 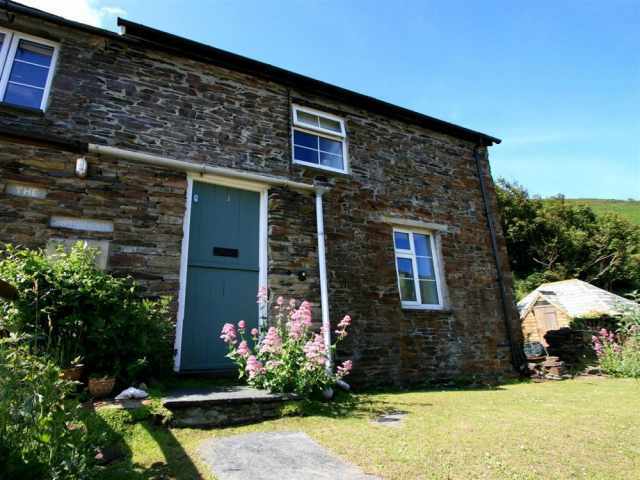 The cottage is approached by a flight of 20 railed steps that lead up from the private parking area below to a small lawn which fronts the cottage and a stable door which opens first to an entrance porch with an inner glazed door leading to a slate flagged hallway. 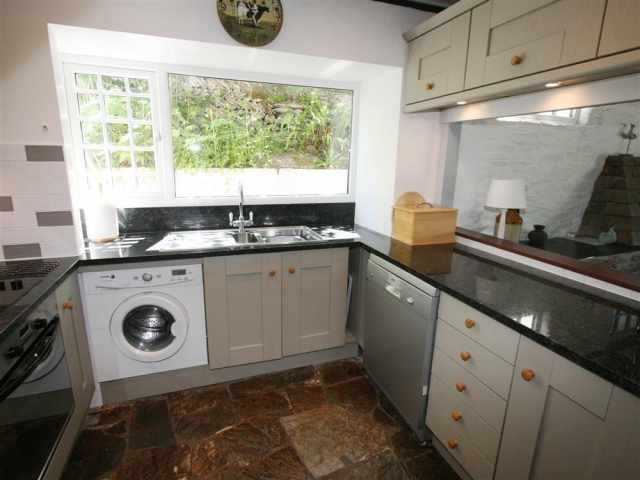 At the end of the hall there is an attractive stone floored, modern fitted kitchen with a large picture window to one side and a view over the harbour on the other. 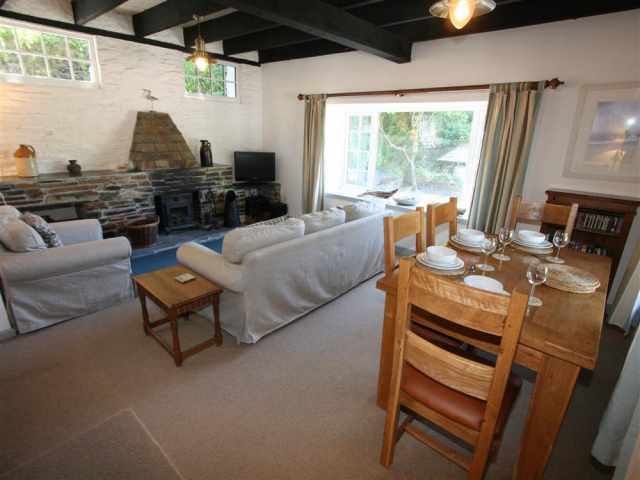 A step leads down from the hall into a beamed sitting/dining room which has a feature stone-built fireplace and a wide panoramic window which overlooks the garden and harbour below. 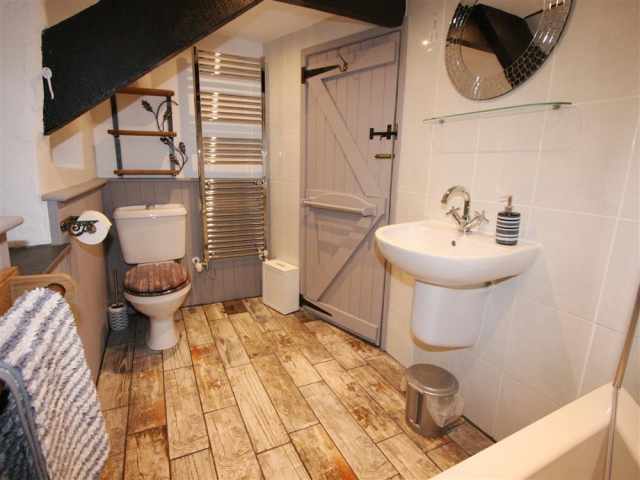 A carpeted staircase leads up to the first floor landing and to one side, a bathroom W.C. with low beams, hand basin and shower over the L shaped bath. 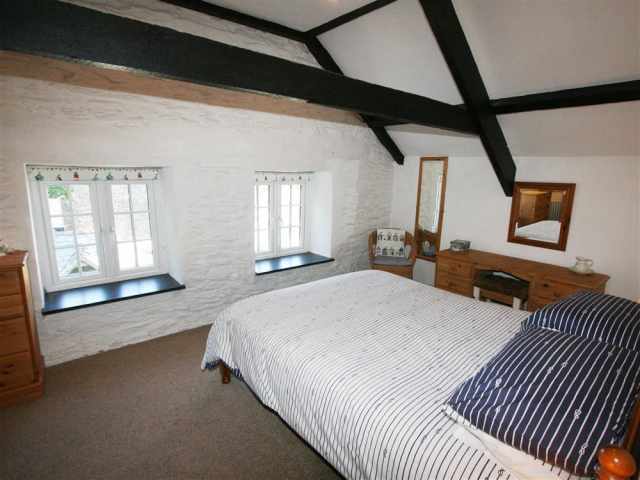 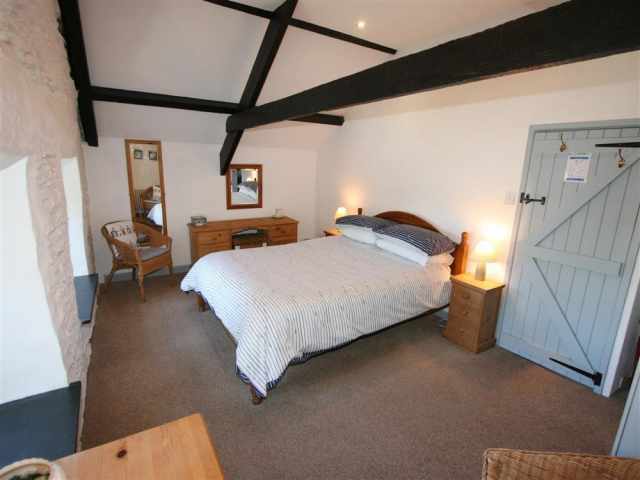 Also off the landing are two pretty cottage-style bedrooms, the master bedroom has a kingsize bed with a beamed ceiling and fine views of the harbour and the cliffs beyond, the other smaller beamed bedroom has a double bed and a little low window facing the river. 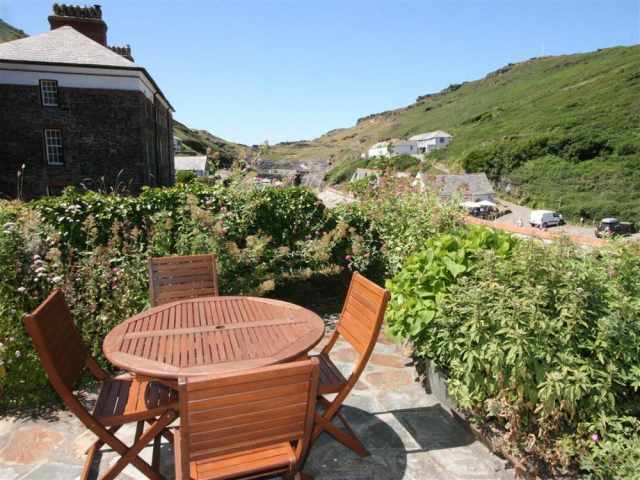 Outside, a low walled garden has two small lawns, flower beds and a large terrace which has wooden garden furniture, perfect for al fresco dining but young children will require supervision.